George Pal (born György Pál Marczincsak; February 1, 1908 – May 2, 1980) was a Hungarian animator and film producer, principally associated with the science-fiction genre. He became an American citizen after emigrating from Europe. He was nominated for Academy Awards (in the category Best Short Subjects, Cartoon) for seven consecutive years (1942–1948) and received an honorary award in 1944. This makes him the second-most nominated Hungarian exile (together with William S. Darling and Ernest Laszlo) after Miklós Rózsa. He was born in Cegléd, Austria–Hungary, the son of György Pál Marczincsak, Sr. and his wife Maria. He graduated from the Budapest Academy of Arts in 1928 (aged 20). From 1928 to 1931, he made films for Hunnia Films of Budapest, Hungary. At the age of 23 in 1931, he married Elisabeth "Zsoka" Grandjean, and moving to Berlin, founded Trickfilm-Studio Gmbh Pal und Wittke, with UFA Studios as its main customer from 1931 to 1933. During this time, he patented the Pal-Doll technique (known as Puppetoons in the USA). He made five films before 1939 for the British company Horlicks Malted Milk. In December of that year, aged 32, he emigrated from Europe to the United States, and began work for Paramount Pictures. At this time, his friend Walter Lantz helped him obtain American citizenship. As an animator, he made the Puppetoons series in the 1940s, which led to him being awarded an honorary Oscar in 1943 for "the development of novel methods and techniques in the production of short subjects known as Puppetoons". Pal then switched to live-action film-making with The Great Rupert (1950). He is best remembered as the producer of several science-fiction and fantasy films in the 1950s, such as When Worlds Collide, and 1960s, four of which were collaborations with director Byron Haskin, including The War of the Worlds (1953). He himself directed Tom Thumb (1958), The Time Machine (1960), and The Wonderful World of the Brothers Grimm (1962). In May 1980, he died in Beverly Hills, California, of a heart attack at the age of 72, and is buried in Holy Cross Cemetery, Culver City, California. The Voyage of the Berg, on which he was working at the time, was never completed. He has a star on the Hollywood Walk of Fame at 1722 Vine St. 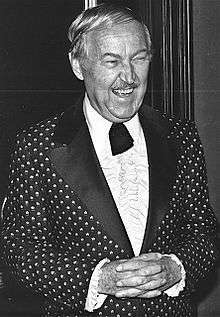 In 1980, the Academy of Motion Picture Arts and Sciences founded the "George Pal Lecture on Fantasy in Film" series in his memory. George Pal (along with the film When Worlds Collide) is among the many references to classic science fiction and horror films in the opening theme ("Science Fiction/Double Feature") of both the stage musical The Rocky Horror Show and its cinematic counterpart, The Rocky Horror Picture Show (1975). Pal's Puppetoons Tulips Shall Grow and John Henry and the Inky-Poo were added to the Library of Congress 1997 and 2015 National Film Registry. One of the Tubby the Tuba models along with a frog and three string instruments were donated to the Smithsonian Institution for the National Museum of American History. The Academy Film Archive has preserved several of George Pal's films, including Jasper and the Beanstalk, John Henry and the Inky Poo, and Radio Röhren Revolution. Doc Savage: The Man of Bronze (1975) (producer). ↑ "Historical Development". University for the Creative Arts. Retrieved 2010-07-12. ↑ Pal, his wife and son, were second cabin passengers on the S.S. Statendam which arrived at the Port of New York from the Netherlands on December 3, 1939. ↑ "William Nolan recollection of history of Logan's Run Movie". William Nolan.